While many teaching positions out there prefer people to have a year or two teaching experience, everyone has to start someone. Every teacher has been a newbie. Some countries are easier to teach in than others if you have little or no teaching experience. Remember that it's usually not necessary to speak another language if you're going to teach English. First off, cross off the Middle East. You'll likely need a couple years experience plus a masters in order to work there. Second, just because you don't have experience doesn't mean that you should settle. Third, taking a TEFL course could help you get your foot in the door, especially if you take one that has a practical component. Last, if you don't have a BA, that should be the first step you take. So where can you go? Asia, Europe, and North America are the most popular destinations for new teachers. Take a look below to find out more. China is a fantastic place to start out teaching in. The food is great, the people compliment your Chinese even if you just know the basics, and it's by far the safest country I've ever lived or travelled to. Plus, you'll be getting a furnished flat, housing, and a visa. I had a two bedroom apartment, fully furnished. You may have to put up with crazy admin since most schools are run by business people who have no idea how to teach. However, the visa process is straight forward and there's a large expat community there. Expect about $500 to $700 usd a month for teaching between 12 and 25 hours a week. Indonesia is reputed to have the highest Muslim population in the world. It's a tropical island so what more could you ask for? Stay out of Jakarta and you might want to avoid the party island of Bali, but other than that, the world's your oyster. Expect between $500 and $800 usd a month for teaching about 20 hours a week. Japan's market has recently gotten flooded with teachers and things are very, very expensive in Japan. That being said, many teachers are leaving, so the market might get better soon. Perhaps the best part? You own your own visa. Korea is not a good a gig as it used to be due to the flooded teacher market and the exchange rate, but you still could do a lot worse. You'll get about $2000 usd a month and a studio apartment. There are thousands of English teachers in Korea, so it's pretty easy to make friends as you're bound to bump into a foreigner at one time or another. Korea is also distinctly first world. High fashion and technology are what makes this country go round. The downside? Long hours and you'll probably be teaching kids as well. If you're in a hagwon (institute) then you might have to deal with crazy admin and annoying parents. The textbooks aren't known for being all that great either. Still, it's pretty easy to live well and save money while in Korea. Taiwan has high start up costs as housing isn't included. However, you can recover your losses quickly and work in more than one school. For Brits and Irish, Europe is a logic choice as it's close to home and they have legal permission to work there. For other nationalities, never fear, you CAN work in Europe. It's hard and there's lots of competition, but there are visas available. 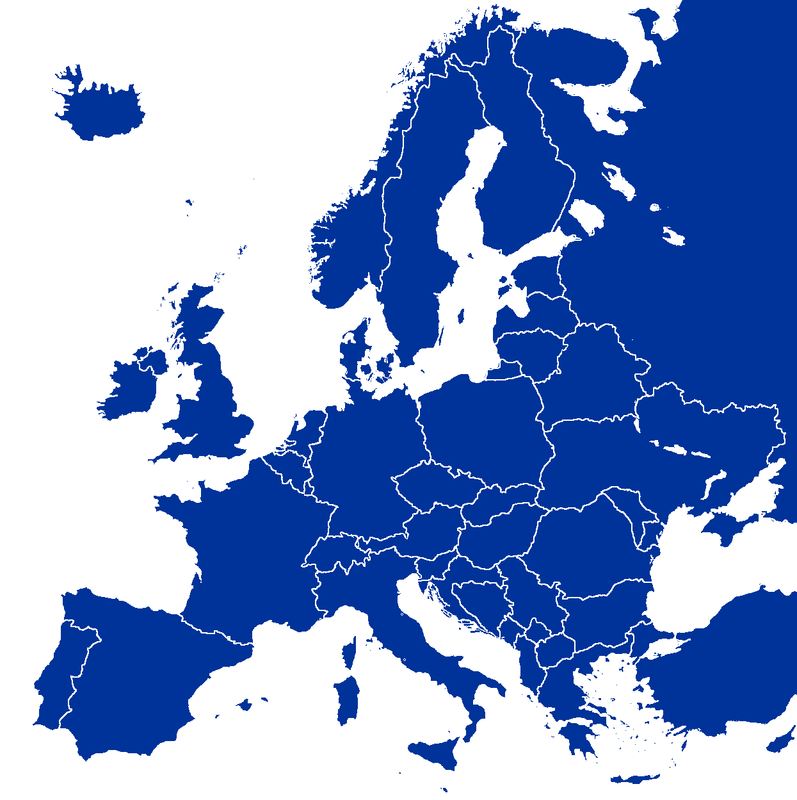 Take a look at Europe for non-EU citizens for more info. Not being Asia, you probably won't get the same benefits, except for Russia, where it's usually part of the package deal. The trade off is that you will be close to home, able to pick up the language easily and not have to go through the work visa process. The downside is that many places close up for the summer, meaning that you'll have to budget or go back home during the summer, and you will probably have to travel to off-site classes. Exams, such as Cambridge and IELTS are popular here, so if you can prepare students for them, then become an examiner you've got it made. Expect about €1000 to €1300 a month for 20 to 25 hours a week. France is well-known for its food, art, and high fashion. Women here are reputed to be among the thinnest in Europe and manage to juggle their careers and families and still look good doing so. Another plus, many places in France teach business English, so you won't have to teach kids. Italy has mouth-watering food, a laid back lifestyle and a thirst for life that's hard to find in other places is what Italy has to offer. Unfortunately, this can carry over to the work place, meaning classes can get cancelled or students don't show up. There's always a trade off to be made. Hey, you're living in Italy, you might not be making heaps of cash, but the lifestyle is hard to beat. Russia is where east meets west. Cold cement blocks, Siberian winters, vodka, caviar, beautiful architecture, and Russian hats are what many people think of when they think of Russia. While these things may be true, there's a whole lot more to Russia than that. An exotic location, while still being part of Europe, offers an escape from the traditional European lifestyle. The language is much harder to learn than the Romance languages in Europe. However, the new openess of this area of the world makes it a great place to start out. English has become a recent necessity and as such, teachers are needed. You're likely to get betwen $1000 and $1500 usd a month, a work visa, and housing. Spain has a cheap cost of living, but be aware that unemployment can reach around 20%, meaning that luxuries, such as English lessons are often the first to go. Nonetheless, there are heaps of English teachers flock to Spain each year. Gibraltar, in the south, is still British. So if you're ever looking for a place to escape and talk to other gringos such as yourself, that's the place to go. Madrid and Barcelona draw many teachers. The south has traditionally been poorer than the north, but there are teachers who love the slow lifestyle that the south has to offer. Mexico is close to home for Americans and Canadians, so not that big of an adjustment, especially if you've studied Spanish. Pay is decent and schools will get you a visa. While Mexico City and Guadalajara might be way too crowded, the country's big and there are schools all over the place. There's also a large expat community in Mexico. Expect between $500 and $800 usd a month for teaching about 20 hours a week. Get your documents together, write a professional CV and cover letter and a year from now, you should have a year teaching experience under your belt and be ready to give advice to newbies.